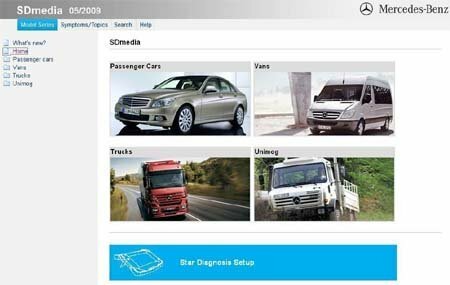 Star Diagnosis SDmedia is an amazing multimedial software containg thousands of documents, diagram and videoclip about repairing and disassembley/assembley main procedures on Mercedes cars, light and heavy trucks, van, buses and Unimog. Movies show step by step procedures and all dialogue are subtitled in english. SDmedia allow search by models or by symptoms/issue. Description: SDmedia - Multimedia Guide (videos, etc.) for troubleshooting Mercedes.